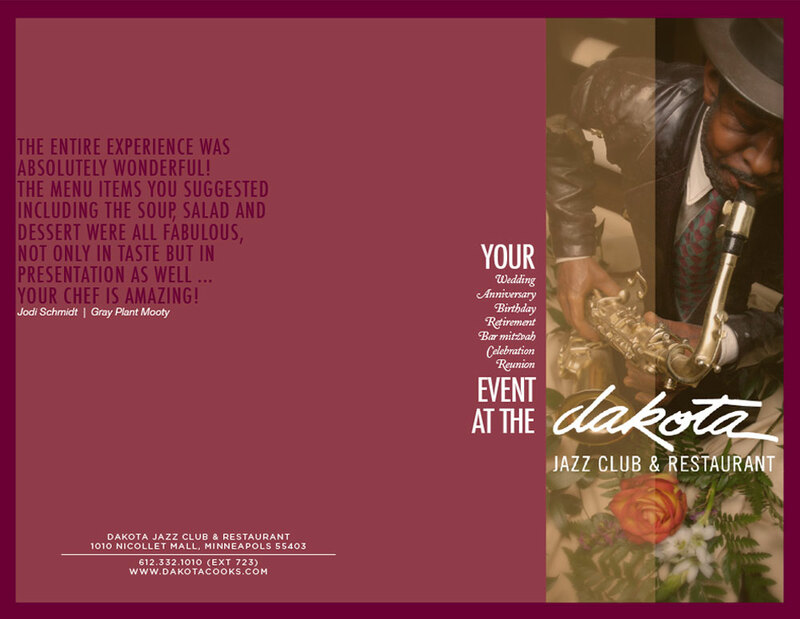 During my time at the Dakota Jazz Club, I designed various print and web pieces for the club's restaurant and visiting musical acts. 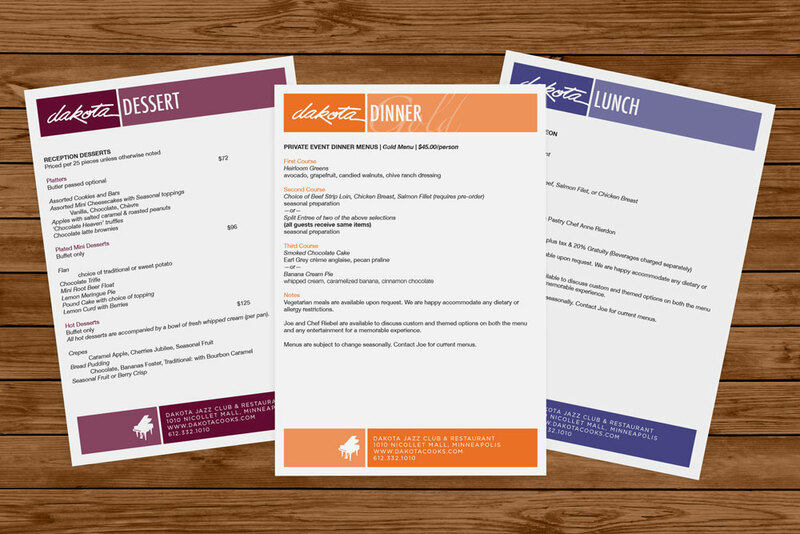 Print materials that I produced included monthly calendars, magazine ads, postcards and banner ads. 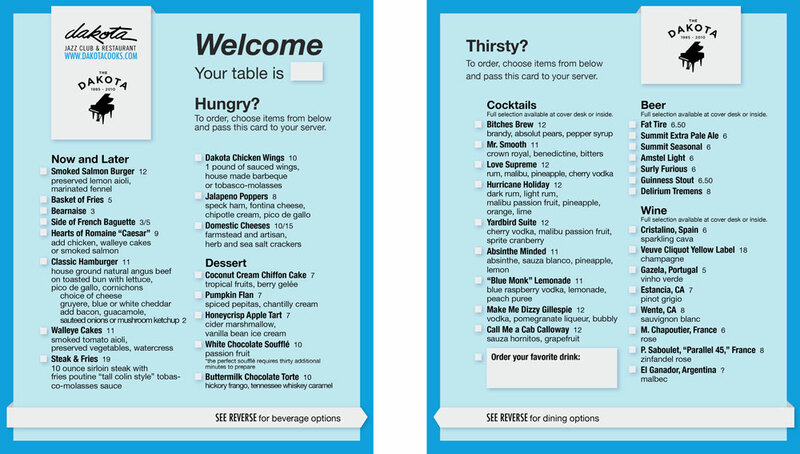 Working with the Marketing Manager, I also designed a completely new late night menu and a suite of informational pieces related to event hosting. While designing at the club, I also got a front-row seat during sound checks for artists ranging from local favorites Davina and the Vagabonds to the world-renowned Esperanza Spalding.